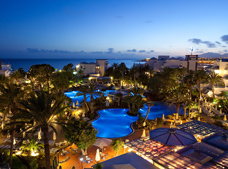 H10 Rubicon Palace is a 4 Star Hotel, facing the seafront in Playa Blanca. Sandos Papagayo Beach Resort is a 4 star all inclusive hotel resort. 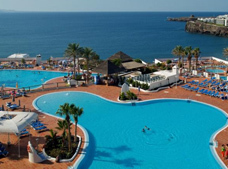 Los Zocos Club Resort is a 3 Star Hotel, with lots of in-house entertainment. H10 Timanfaya Palace is an Adults Only 4 Star Hotel to enjoy a perfect holiday. 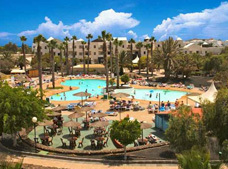 Hotel Be Live Lanzarote Resort is a 4 Star family resort with all-inclusive services. 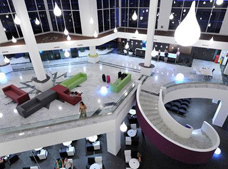 Princesa Yaiza Suite Hotel Resort is a 5 Star ocean side luxury resort with world class facilities. 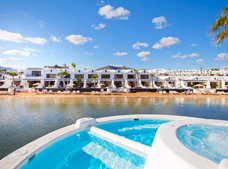 LanzaroteON compares hundreds of booking sites to get you the best Hotel deals in Lanzarote. We compare Booking.com, edreams, and all major search sites. 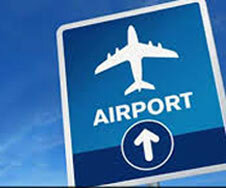 You can choose a hotel which suits your budget from hotels, villas and apartment hotels. 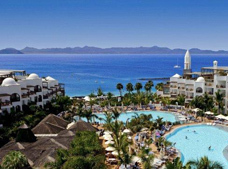 LanzaroteON's Saver Tip Choosing an All-Inclusive hotel is cost-effective and also gives you access to luxury facilities like a Spa and Gym.